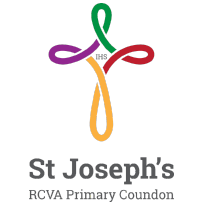 At St Joseph’s RCVA Primary School, we regard the safeguarding of children as our main priority. We believe that we all have the right to be happy, to be safe and to learn. We all have the responsibility to make this happen. all staff and volunteers working at our school have a responsibility to report concerns to the designated leads for Safeguarding: Mrs Madeline Brown (HT), Mrs A Davidson (DHT) and Miss C White. We are all responsible for ensuring that each child remains safe, however the Designated Leads for Safeguarding are Mrs Madeline Brown (HT), Mrs A Davidson (DHT) and Miss C White. given a copy of ‘Behaviour Guidlines for Staff & Volunteers’ and are directed to the document ‘KEEPING CHILDREN SAFE IN EDUCATION 2016’. This applies to volunteers too. If you would like more information on safeguarding, please contact the school for all our policies or view Safeguarding Policy in our policies section on our website.